Charis Dumfries offers the full two year Charis curriculum and the full Third Year Leadership Programme through the Charis Hybrid Programme. Charis Hybrid is a unique blend of independent study and face-to-face time with instructors and other students who are determined to go deeper with God. The course runs from early September to May each year. You’ll study courses at home…. Most of the curriculum courses will be watched from the comfort of your own home, at your leisure. You will be assigned 8 fifty-minute lessons each week. You will have the freedom to watch the lessons at your own pace and time during the week. …and meet fellow students and local instructors at Charis Dumfries. Students meet 16 Saturdays over each year (typically two Saturdays per month) for worship, live teaching, guest speakers, ministry training and group discussions. These interactions will help you process the lessons you’ve studied at home with an emphasis on putting the Word into action in your personal life. Here’s the schedule for a typical Saturday at Charis Dumfries 10.00. Welcome, Worship and Holy Communion. 11.00. 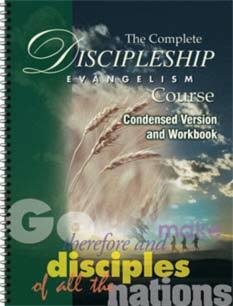 Prayer Ministry Training or Discipleship Evangelism training. 12.00. Live teaching from a Charis Dumfries team member or approved visitor 13.00. Lunch break 14.00. More live teaching 15.00. Group discussion/review of courses studied at home 16.00. Group discussion/personal application 17.00. Home time. Second year students will spend some of these hours in workshops training to preach and teach, and preparing for their mission trip. Charis Hybrid is for any person who has career, church or family obligations, yet has a deep desire to gain more understanding of the Word of God and wants to grow in their relationship with the Lord. Charis Hybrid is ideal for those who know there’s more to life than they are experiencing and want to discover God’s purpose and plan, while maintaining their everyday responsibilities! Who should attend? People who are fully committed to their local church. Those unable to move close to a Charis location, but can travel a distance for 16 Saturdays a year. People looking for live teaching from mature and experienced local instructors. We’ve made this Hybrid Programme to fit in with your schedule! The Hybrid programme includes the full First and Second year curriculum and the full Third Year Leadership Programme and costs the same price as attending a Charis Day School in the UK. For more information on the Hybrid Programme at Charis Dumfries contact us. Or Apply here.